Merrillville, IN - On Sunday, March 27, 2011 the clergy and faithful people of Chicago Deanery solemnly welcomed their hierarch, His Grace Bishop Longin, to the St. Elijah the Prophet Serbian Orthodox Cathedral in Merrillville, Indiana. This welcome of His Grace, the bishop, prayerfully gladdened the hearts of all those present. V. Rev. Stavrophor Nedeljko Lunich, the Episcopal Dean for the Chicago Deanery, prayerfully led the evening Vespers service with the con-celebration of all the priests and deacons of the Chicago Deanery. The Lenten Vespers was made complete with the beautiful homily delivered by V. Rev. 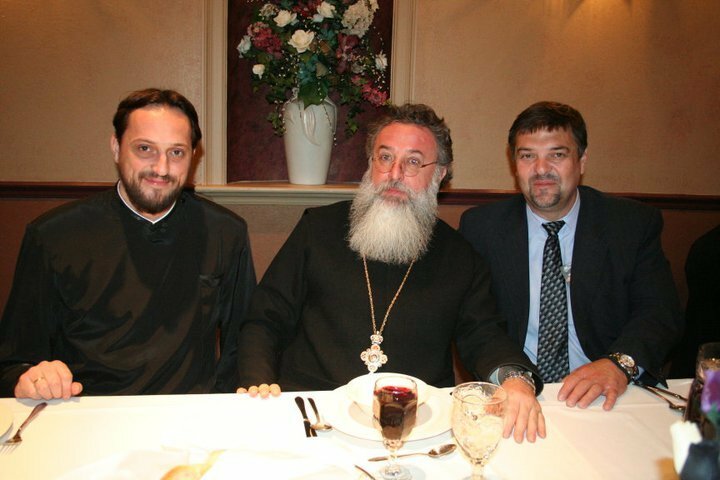 Sava Bosanac, the parish priest at St. John the Baptist Serbian Orthodox Church. His words, on that day we venerate the Holy Cross, reached the soul of all those present and called us seriously contemplate on the significance and greatness of the Cross of Christ which we all bear during this earthly life. Fr. 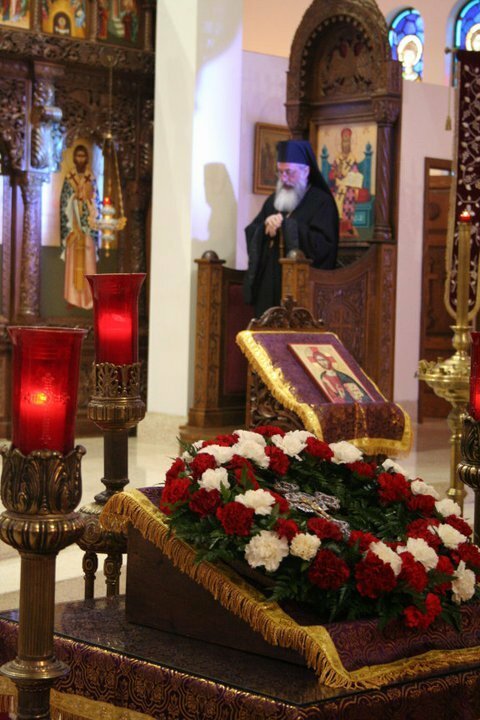 Sava reminded all those present that our duty in this life is to carry our own cross that together we might co-suffer with our brothers in these difficult days and that it be to the salvation of our souls. 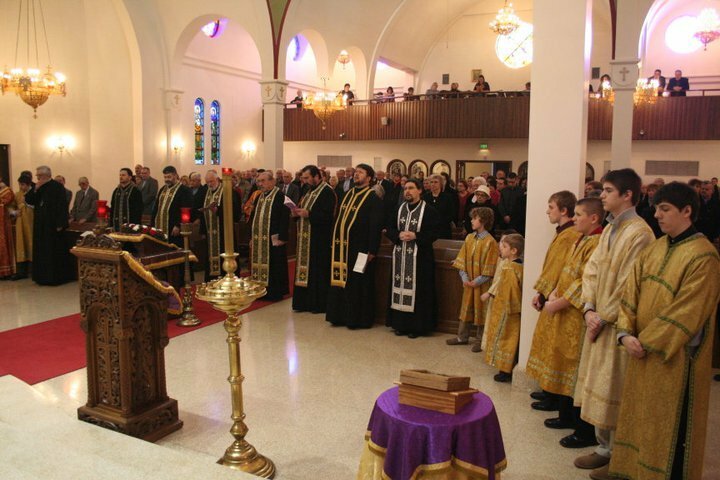 Following the beautiful and instructive homily the spiritual father of our New Gracanica-Midwest Diocese, His Grace Bishop Longin, made a prostration, together with the clergy, before the Holy Cross while the cathedral choir majestically sang, "Before Thy Cross we bow down in worship, O Master, and Thy holy Resurrection we glorify." Fr. Aleksandar Novankovic, the cathedral dean, thanked Bishop Longin, the clergy and the faithful people for their prayerful visit and expressed his hope that we will complete the duration of the fast in podvig and prayer, that we be prepared in meeting the joyous Feast of all feasts, the Resurrection of Jesus Christ. This prayerful gathering ended with an agape meal prepared by the hardworking Cathedral Circle of Serbian Sisters. 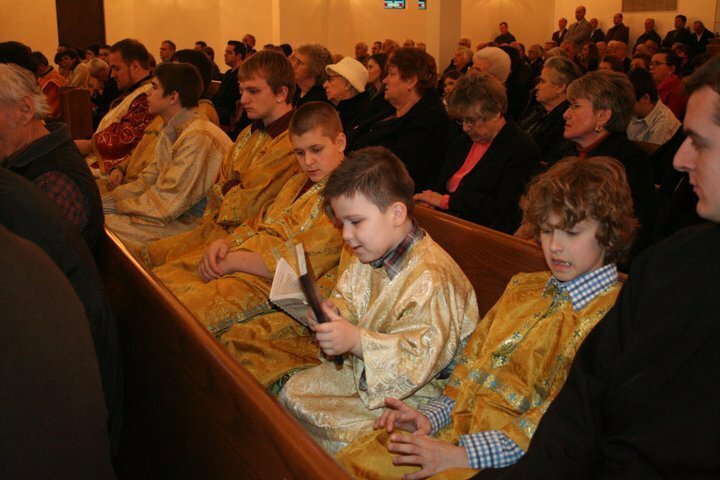 This was truly a wonderful and spiritual event at the St. Elijah the Prophet Serbian Orthodox Cathedral in Merrillville, Indiana.